The French brand reveals the compounds that it will distribute for the tests, announcing small novelties with respect to those that were used in 2018. Michelin has announced the tires that will supply for the first tests of the year in Sepang. The French brand will present some very similar compounds to those offered during the 2018 race in the Malaysian track, but will include small novelties with which, despite the variations, expects to stay in the line that he maintained during the second half of the last year. The intention of the Clermont-Ferrand is to benefit the development of the frames during the three days of testing in Malaysia and therefore, there will be great changes in the construction or in the composition. 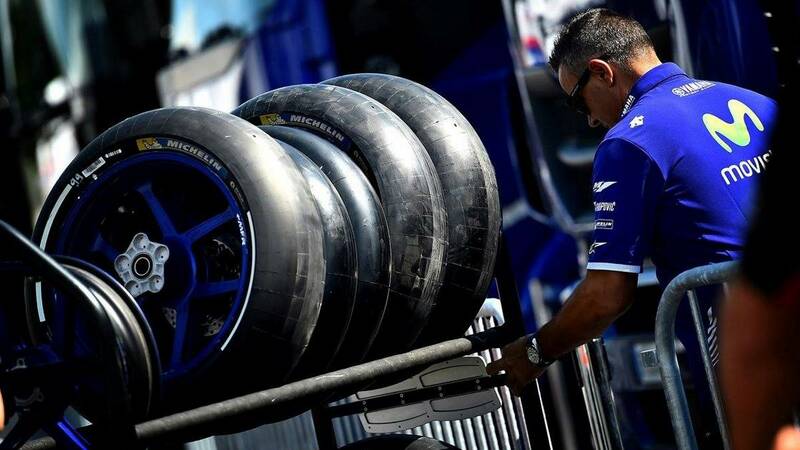 In a test held in Brno during the previous year, the supplier of tires of the queen category showed a variation in the front compound that he intended to implement this season. The novelty was not well received by pilots such as Marc Márquez, who said that the new compound "does not work" as expected, although he trusted in the development of the French brand to make a rubber that would leave them satisfied. The second opportunity will arrive in Sepang. The front compound will offer a new version that will be between the hard and medium that the firm offered until now and as for the rear, Michelin will also supply two new versions. Both the soft compound and the medium will include a technology that was perfected to throughout the last season, to benefit the grip of the frames on the different stages. For Valentino Rossi, one of the keys in the queen class "lies in not destroying the tires" and durability, is another of the objectives against which Michelin aims to be up to standard. The tests they did with these tires did get a good reception from the drivers of the grid and As well as in Sepang, the men of the maximum displacement will be able to test them also in Qatar acquiring sensations on a different asphalt. Once the six days of testing have elapsed, Michelin will announce the definitive list of compounds that it will offer for each Grand Prix of 2019.